Oakpark Foods has won a gold medal at the prestigious annual Grocer Own Label Food and Drink awards which recently took place in London. The Company which is based in Cahir, Co. Tipperary is part of the Brett Group, Callan. 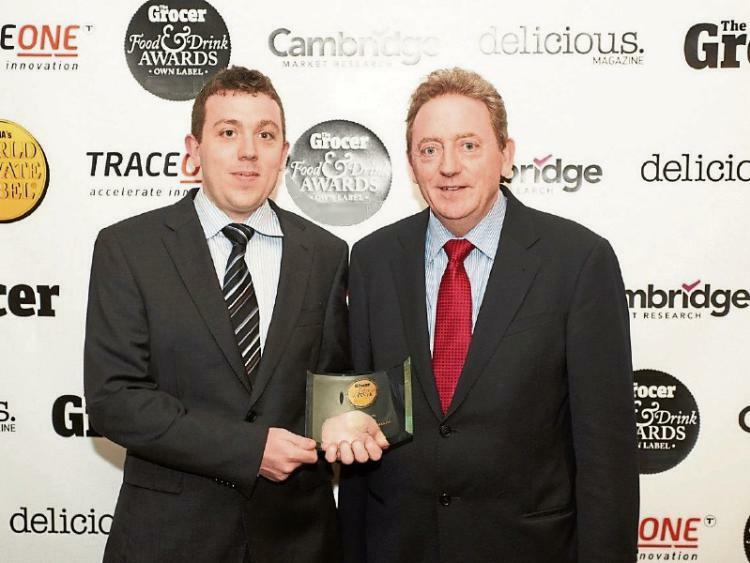 Oakpark won the top award in the chilled bacon category for its Maple Cure Rashers which are marketed in association with Lidl UK. It beat entries from all major UK retailers including Marks & Spencer, Morrisons, Sainsbury’s, ASDA, and Tesco. Thousands of own label products were entered in the competition, which is organized by the Grocer magazine and Oakpark’s rashers have received the prestigious gold medal for the second time in the last four years. The event awards the most outstanding products in the own label category which are on sale in UK supermarkets. The judges acknowledged the unique flavour and the premium packaging, describing it as hard to resist for consumers. Oakpark Managing Director, Jimmy Brett, said the award will be of huge benefit to the company’s export drive into Britain where it has already established itself as a key supplier of own label bacon products to UK retailers. “We are launching four new innovative products with Morrisons next month under our Oakpark brand including the unique Oakpark American Style Streaky Bacon. Oakpark has established a strong position in U.K. multiples and this award from the grocer is a huge endorsement of our premium position in that market”, he said. Oakpark Foods is located in Cahir and is the Brett Group’s flagship food processing business, employing 100 people. Bretts headquarters in Callan and the group is involved in Animal feeds, Agronomy and Agritrading throughout the South East.